from the article in the 13th February edition of Cyprus Today and in the event that any of our readers did not see this article we are publishing the link to the TRNC Post Office where you can view the post codes for your information and future use. Note: The new 5 digit code has to be written under the code “Mersin 10 / Turkey” which still remains a part of the address. Many readers ask us to help them confirm their post codes which we are happy to do however often the information given by the reader is not complete so it is difficult for us to confirm the postcode for a location. May we suggest to any future readers wanting help, please first go to Google World or Maps where they can locate their road or street and when comparing this with a city/village listed on the KKTC attachment they should be able to identify their correct post code. Hi Jenny, I am not an expert on these things but hopefully to clarify I have highlighted the village names and when you translate KÖYÜ it means village and Mah is an abbreviation for Mahalle which means Quarter or Ward according to the “Redbook”. So for anyone to decide which is their post code is, select the nearest village or area in which your property is located. Perhaps in the not too distant future when buying items on line you will be able to give your post code and your location may come up on the verification system. Now that will be the icing on the cake of progress! We are moving soon into a house in Karsiyaka (village in Lapta). – How many of these details must be written on an international mail to us in future? Welcome to North Cyprus. Your postal address will be No of house + name of street, Karsiyaka, Lapta, Mersin 10, Turkey 99440 The number at the end is the post code for Karsiyaka. I hope this is what you were looking for. I live in Lekosa, what is mine? Hello, please read the article again and click where it says click here in BLUE and a new page will open that shows all of the Lefkosa areas and post codes. Ndewo, biko na-agụ isiokwu ọzọ, pịa ebe ọ na-ekwu, pịa ebe a na-acha anụnụ anụnụ na ọhụrụ na peeji nke ga-emeghe nke na-egosi ihe nile nke Lefkosa ebe na Nledo. Pls. I live in 4. Yurt, Near East University, what is my post code? Advice and help please! We are having a villa build in Alsancak and may have to finish off ourselves. We already have an account KKTC for our flat – as we have an account would it be easy to get correction to our villa ourselves. There is an electricity pole just outside the villa and houses around us already connected. Hello Jim and Sue, following our visit to Kibtek to seek information for you, we have emailed you direct with some information and questions for you to answer to KIbtek if they are to help you. Any idea what my postcode will be? Check out Google Earth or Maps and you may find your property is located in area code 99350. I have checked the post codes and it looks as if the postcode for Gazi Magusa town area is 99450. If you go into Google Earth and check the street names you will be able to confirm this. Not knowing where the new Lemar is it is difficult to work out the post code but I am assuming it is somewhere in the centre so the post code would be 99450. I need to send some important documents to the address below. I cannot find the postcode and the address doesn’t look right. Can you advise ? Famagusta or Gazi Maguza is listed on the link we have provided within our article and almost all areas are shown under 99450. The addrees you show above does not seeme to show a district so we can only suggest the address could read as below. For more information and clarifification you can visit the web site of the TRNC Postal Office by following the link in our article. Many thanks. Is it usual not to have a street in the address ? Without a street nam ethe address is not complete. Apparently the district is Kaliland ? As you may have seen, the district is not show on the TRNC Post Office listing so to be 110% sure, perhaps you should email them via their wensite and give them the address you are quoting and ask them to clarify.. Thanks for all your help. With the assistance of google maps I have managed to get a complete address. Hello Roxanne, Mersin 10 Turkey has been the traditional routing link for mail sent from outside the TRNC but if you read the other comments here you will see we have clearly answered how to find the local area post code by opening the TRNC postal area code listing document. If you have any doubt there is a link to the TRNC Postal Service web site where there is a lot more information available. Hello please i live in Lefkosa, Hastane, and i don’t know my zip/postal code. please can you help me with it thank you?. By description you seem to be saying you live in Lefkosa Hospital, which one? If it is the State hospital opposite Peace and Democracy Park when you view it on Google Earth you see the hospital is next to GÖÇMENKÖY MAH and so the postal code listed for this area is 99010. Hello Anna if you are sending to Gazamagusa then the details look OK but remove the word Cyprus as this is not recognised and Mersin 10 Turkey will ensure the mail comes to Northern Cyprus. hello i need to some stuffs posted to this address pls help need zip code.. sinemis student complex zafer miharrem street sakarya famagusta mersin10 turkey. Hello George as you will see, there have been many enquiries from people asking for the post code which are clearly shown on an attachment linked from the article. I live baykal, famagusta. is this my passcode 99450? and what should be my full address? We have answered this type of question so many times as you will have seen in the other comments and if you have taken this number from the link we have provided, then it is correct. Don’t forget to state your house or building number, road name, Famagusta and finally don’t forget to also state Mersin 10 Turkey. University Drive, Karmi Campus, P.O.B:5, Girne, North Cyprus via Mersin 10 Turkey. Phone number: +903926502000 / Ext: 1347 THIS ADDRESS WHAT IS THE POST CODE? Hello Joy, we have noted that the link we gave for the individule posts code listings has been changed so you can view the new link by clicking here where the complete listing is shown. Hello, Could you please tell me the postcode for this address as i have send some urgent post 1-10 Girne Caddesi PO BOX 738 LEFKOSA MERSIN 10 TURKEY, North Cyprus. Hi Nikha, we have noted that the link we gave for the individule posts code listings has been changed so you can view the new link by clicking here where the complete listing is shown. How can I receive the package? Will I need to use DHL? And will DHL deliver it to my house? Firstly you need to add your postal code to the address and when you read this article click on the link in this text “To find the post code for your area on the KKTC Post code listings click here” you will see the code. Hi Joe. When reading the article click on the link in this text”To find the post code for your area on the KKTC Post code listings click here and you will find you code. Pls do u know post code of gonyeli kola hospital area side ??? No but if you follow the article link to the TRNC Post Office post code listings you can establish the correct code there. Please help me with this address, (Ataturk caddesi, Muderissoglu apt, Daire 16, Girne North cyprus). What is the exact postal address of the above mentioned. Since it is my 1st days in here I dont know its postal address at the meantime it become very necessary for me . You will find in the article we have a link to the post code listings and to help you please click here and you will be able to identify your location and correct post code. That helped a lot it was 99300. Good morning sir ,would you help me please? North cyprus,nicosia, MERSIN10 TURKEY,haspolat ,cyprus international university 99258 (sure of the postcode). Is this adress correct?? Thank you fro your enquiry. You may find the post may take more than 1 week to arrive from other countries. You show an address which is correct for the CIU and is also shown on there website. When the posted item arrive at CIU are they held at a collection point for students?? Perhaps you should ask this question to CIU. hello sir, please can you help me…? how can i order the items,goods from the internet as aliexpress.com; ebay.com; amazon.com etc.? or that is impossible to shipping to TRNC from abroad? Hi Saider, thank you for your question. As we have said to many other who ask for confirmation the easy thing to do is check of where you want to forward material to the location in Google Earth. You can then consult the postcode schedule by clicking on the link provided and then you can select the correct postal code. When sending or receiving parcels or post use hire it in Catalkoy, they have postcode checking facility with TNT Fedex. Many thanks for this information Ralph which will help many people who seek our advice. HI – I am living in Gonyeli hasan beydola – what will my post code ? Please read the article and it will give you a link to the TRNC post code listing where you will find the code you are looking for. Please I need the answers to all this urgently. Thanks in advance for your assistance. Please read our article and it will tell you how to establish your details and as you live so close to the Zirrat Bank why not ask them as well as they will sure to be able offer other forms of help as well. i couldntfind it on google earth and i didn’t know how to relate it to the list you’ve provided. Have you registered this post? If you have you can ask the sender to ask the current holder to release the post. Posting to North Cyprus includes Mersin 10, Turkey in the postal address so in all probability it has arrived and if not at the local office it will be in the main Lefkosa office and we have given a link in our article to the TRNC Post Office website who you can contact to find your post. In future do not make unfounded and unproven allegations “I believe it has been stolen by corrupt officials – not the first time! ” and if you do, your post will be deleted without explanation. Hello? I am waiting for my post from USA but I wrote address Eastern Mediterranean University, DAU-1, Mersin 10 Turkey, Famagusta 99628, Cyprus. So I think this is wrong right? So now my post already arrived in Cyprus. What should I do now pls help me? 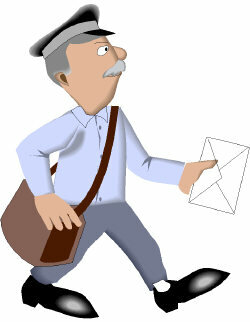 We suggest that you contact the TRNC Postal Services direct to trace the post that you say has been sent to you.